Before we proceed with Instagram selling tips, let me please remind you the basics we have already covered previously. Your sales posts will work great only if you respect the following rules. 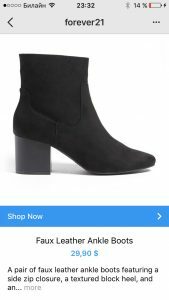 Is your Instagram ready to sell and drive traffic to your ecommerce website? You profile copy is giving at least the contact information for your potential customers, at most – USP, shipping info and brand mission. Instead of professional yet faceless images purchased from stocks you share the unique posts . 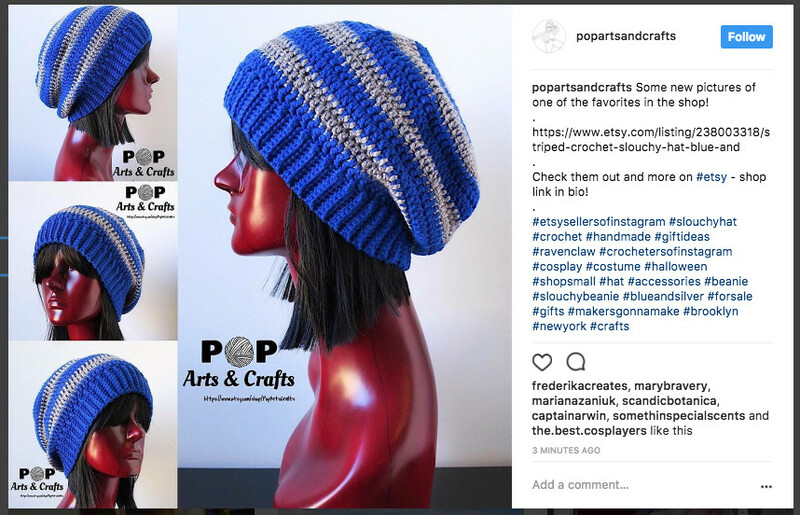 They communicate the message of your brand, show all the facets of your products or demonstrate your products in use thanks to user-generated content you repost. Every post of yours has a clear call to action (“see link in bio”, “tag a friend who will like it”, “don’t forget to add to bookmarks” etc). Speaking about your Instagram profile copy, we have already mentioned that link in bio is the only public place to post a clickable link. An ecommerce website with the products you promote is the easiest way not to let your warm leads slip between fingers. If you do not have an ecommerce website yet, it’s not that difficult to launch it. Contact X‑Cart solution advisors with your requirements, we can offer all kinds of services from a turn-key project to distant guidance. Be sure not only to include this link in your profile info, but also remind the followers to “see link in bio to order”. Every single time, mark this well, instruct them in the caption text every single time. 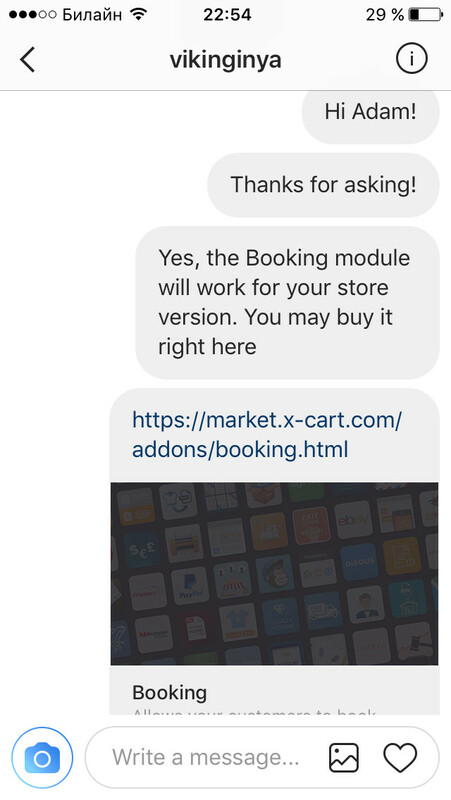 Instagram DM, or direct messages, is another way to share the product link with your customers and let them buy your product. How to find whom to send this link to? You may write something like “Comment YES if you want to know how to get this”, and react to the comments as you notice this so-much-desired word. Moreover, a paid account with bit.ly will make your URL tail customizable, like bit.ly/boyshoes. Keep in mind, this link will remain non-clickable, it requires manual entry by a potential buyer. And you know that the more steps you ask them to take to reach you, the less of them will finish the customer journey. Or when there are no competitors who can make the buyer’s path from Instagram to order confirmation screen (through product page->shopping cart->checkout) easier. Have you noticed that 80% of the customer journey is on your ecommerce website? So you must make sure that the customer journey is 100% optimised for mobile browsers. 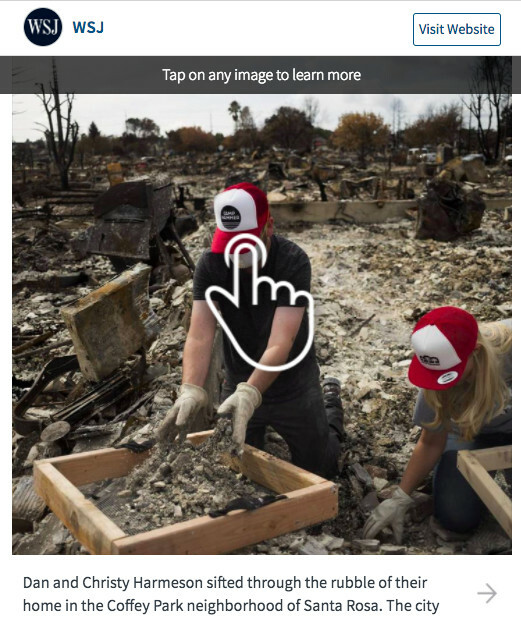 Keep in mind, Instagram is a mobile-first app. The Instagram audience is mobile-only too. If the link you posted in bio or ad points to to your ecommerce website, responsive ecommerce design template will do the trick. 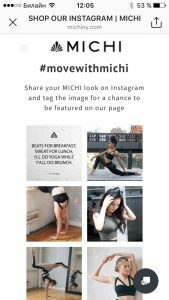 With such a template, every single page the Instagram referrer sees, checkout especially, will look perfect on a smartphones and tablets screen. 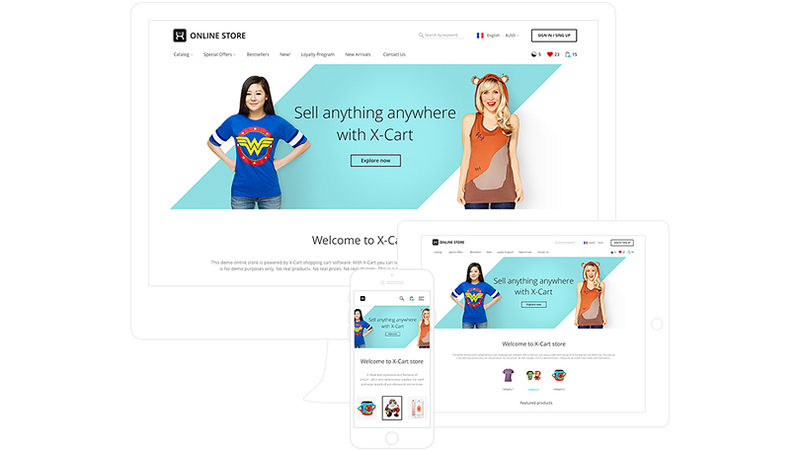 X-Cart offers a free eCommerce solution with a responsive template aboard. 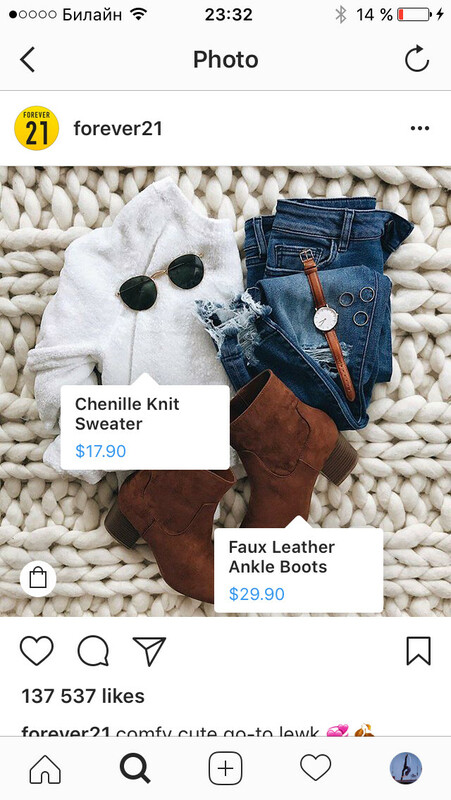 The other top ecommerce platforms like Shopify, Bigcommerce or WooCommerce also have responsive themes, at least – paid ones, so make sure you have installed one before an Instagram campaign is started. There are several services that create and extra step between Instagram and your store. And even though we’re used to the idea that the less steps to checkout, the better, this solution, vice versa, improves the user experience. 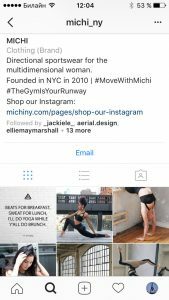 Foursixty, for example, generates a page, reflecting the layout of your Instagram profile. 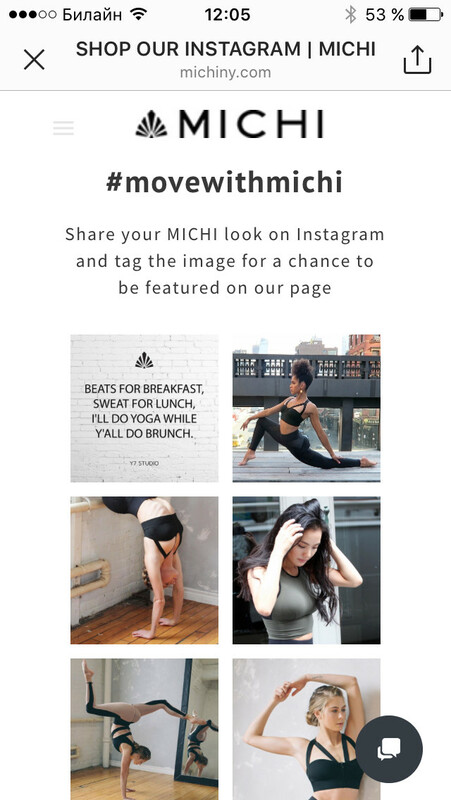 Take a look at @michi_ny. Once you click a link in bio, a store page opens. What do you see there? 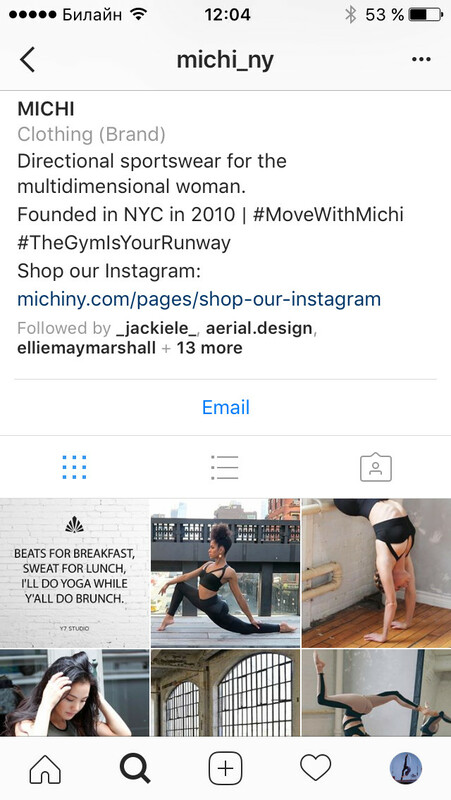 An Instagram-like page with all the recent Instagram photos of their profile. Clicking on the photo you’re being brought to the page which again shows this photo you’re already acquainted with, but the products are tagged on it. Under the photo you see a grid with these very products. This elegant eCommerce solution is both mobile-ready and user-friendly. Linkinbio by Later is another tool making your Instagram shoppable. It creates a landing page that resembles your Instagram feed and displays your posts as clickable images. 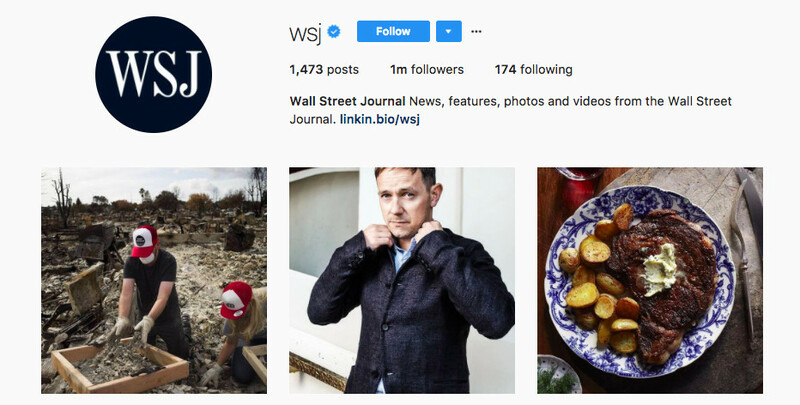 To see it in action, check out the account of Wall Street Journal on Instagram. In case of WSJ, every link points to an article of the journal. 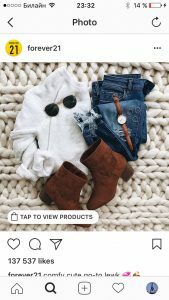 But you as an online store owner may want to drive traffic to the product pages or even a special landing page created for a particular Instagram sales campaign of yours. If you have read this far, I’m willing to award your patience and show you something that wowed me, when I first noticed such a feature in a feed, gazing at Cozy Unicorn Sweater by @OshKoshkids. 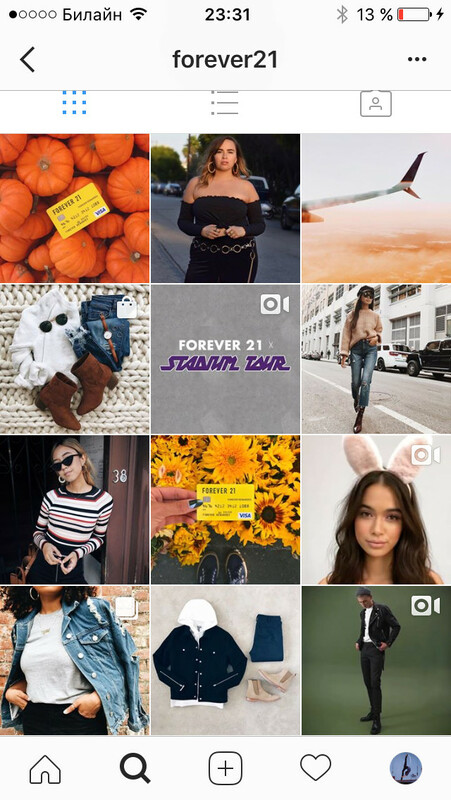 @forever 21 is another brand with an unusual type of posts marked with a bag icon (see the second image from the top in the first column). Oh my god! Clickable photos with products tagged right inside the feed! HOW IS IT EVEN POSSIBLE?? I spent some time checking it out and trying to guess, how it was achieved, and finally realised it was Like2buy by Curalate. I’ll try to get some info from their Sales guys for you, though. 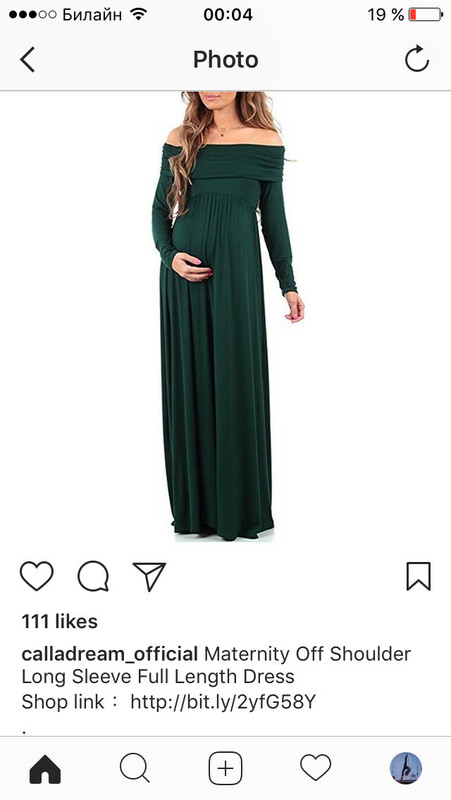 As you can see, there are numerous ways to sell on Instagram. Their efficiency depends on what you sell and who your followers are. When you post, what you post and how you post. You do not want to dryfire. How to make sure every post scores the bull’s eye? Analytics is the answer. The next chapter is about it.